Dave joined the Core Staff of MSC in August of 2015, coming to the club from the Long Island Rough Riders, where he was responsible for camps, clinics, private sessions as well as work with the Junior Rough Riders Summer Select and Winter Select teams. In 2017 Dave was named the Girls Director of Youth Development. In this role, Dave is responsible for curriculum development as well as coordination and implementation for girls U5 to U12. In addition to his work with the Massapequa Soccer Club, Dave has worked with NextGen USA since 2015 and helped to bring the International Development Festival to MSC. Through the IDF, Dave brought youth coaches from Everton (England), Zenit (Russia), Racing Club (Argentina) & Estudiantes (Argentina) to Massapequa to share their experiences and coaching insights. 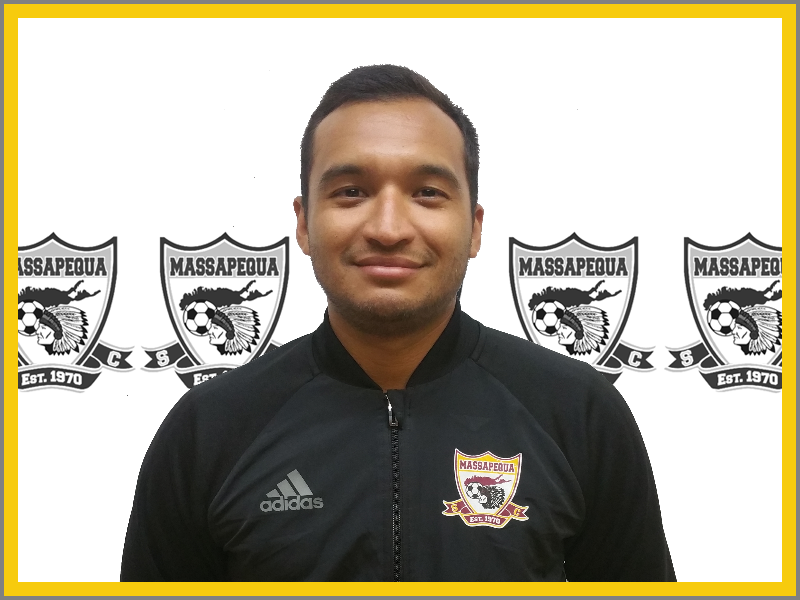 A native of Massapequa and a bilingual and proud Ecuadorian-American, Dave played for MSC from U6 through U17 and was a 3-year letterman for Massapequa High School. He played his college soccer for the University of Connecticut Huskies (2008-2011) winning a regular season Big East title and for the Bryant Bulldogs (2011). He has also played post-collegiately in the PDL with the Rough Riders (2009-2011) making the PDL Final Four in 2011. Dave began his coaching career while at UConn as a part of the Ray Reid Soccer School. Dave has a USSF E license.